Carbon monoxide is an endogenously produced signaling gas that is produced in the human body. An important biological regulator, CO has been established as a modulator of vascular function, inflammatory response, and neural activity. There is growing interest in CO’s contribution to diseases like hypertension and neurodegeneration and even therapeutic use of carbon monoxide for treating pathologies like ischemia/reperfusion injury, transplant rejection, lung injury, osteoarthritis, and skin wounds. 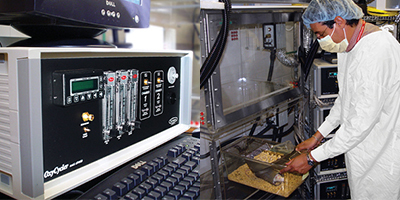 For in vitro studies, CO exposure chambers control CO on a parts per million scale control to mimic both physiologic ranges and pathophysiologic levels, even combining CO with other bioactive gases like O2, CO2, and ppm nitric oxide (NO). Likewise, in animal models, researchers use chambers to control of parts per million carbon monoxide with or without ppm NO control. Since CO is toxic at levels exceeding 35 ppm, safety hoods and CO monitors in the room ensure human safety. 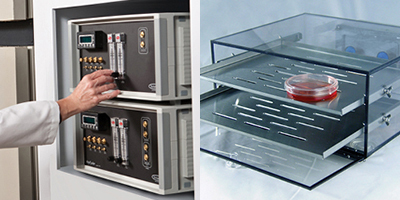 Carbon monoxide chambers from BioSpherix Ltd enable bioactive gas control for both cell and animal models. 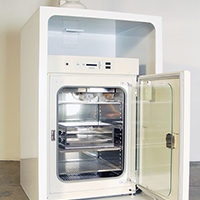 The OxyCycler GT4181C & C-Chamber dynamically regulate levels of ppm CO, O2, and CO2 within a subchamber inserted into an existing cell culture incubator. The I-Hood is an enclosure used in combination with the OxyCycler GT4181C & C-Chamber to ventilate dangerous gases from the laboratory. The OxyCycler AT42CO & A-Chamber for in vivo CO modeling, permits control of parts per million carbon monoxide in either one or two chambers and may be upgraded for simultaneous control with other gasotransmitters like O2, CO2, and ppm NO. 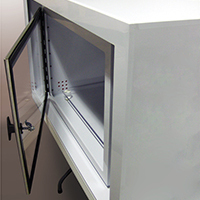 The Safety Hood is an enclosure for the OxyCycler AT42CO & A-Chamber(s) which prevents toxic gases from entering the room and exhausts them to a safe external location.